For the best overall support please email us. We can deal with all enquiries quickly via email, be it bulk pricing or Corporate enquiries. Directions to Reload Internet laid our in Video form and also includes a tour of Paddington – Beautiful. Please call us on 0207 193 9293 if you have any questions on our OCI Application help service. We will be able to direct you through our service. 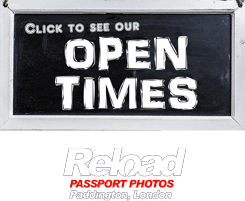 if you need to call us for a passport photo related enquiry or Printing Enquiry 0207 262 4111 NOT OCI Help as staff will not be able to assist. Please call 0207 193 9293 for OCI Help. Where is Reload Internet in Paddington? Take the District or Circle lines to Paddington. Our store is immediately on the left as you exit the tube station. Jump onto a plane from anywhere in the World and fly to London Heathrow.